Around the world, businesses both big (like Nokia) and small (like Wari and Mi-Fone) are working in emerging markets to deliver mobile phone products and services tailored directly to local demand. From long-lasting battery life to the continued expansion of mobile money services, mobile continues to present new opportunities for innovation. India will be a key market for Nokia in its quest for long-term profitability. Nichols’ article is full of data on the Indian telecoms market, ultimately pointing to the key takeaway: India is a feature phone market. 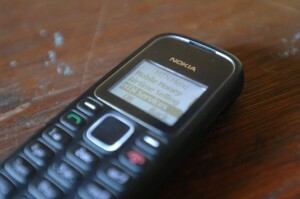 In the first quarter of 2012, 50.2 million handsets were sold in India, and 47.5 million of those were feature phones. Smartphones, although decreasing in price, tend to be too expensive and 3G-infrastructure development in the nation is stagnant and spotty. India will allow Nokia to focus on what it does best: feature phones. Africa mobile device manufacturer, Mi-Fone, designs phones tailored to the local market. A new “smart” feature phone, the Mi-3000, boasts a battery with 60-days worth of standby time, EDGE connectivity, and 2.8 inch touch screen. The Mi-3000’s claim regarding its long battery life is yet to be proven, but if effective, could revolutionize the low-cost handset market in Africa. Developed by Senegalese entrepreneurs, Wari Gateway is a technology platform rolling out across francophone Africa to serve the unbanked. Reporting success in Senegal, Wari is conducting 65,000 transactions through 2,000 agents daily and is experiencing 35% growth each month. Only 6% Senegalese have access to a bank account, but 67% have access to a mobile phone. A latecomer to the mobile money scene in East Africa, the Burundi Commercial Bank and local telecom ONATEL have launched Mobicash in Burundi. Mobicash is similar to most mobile money platforms. In Burundi, 20% of the population has access to a mobile phone, but only 4% have access to banking services.